Pigeons make their own winter coats. Pigeons -- and their close cousins, doves -- make vocal and friendly pets. They're happy in large cages, aviaries and specialized pigeon lofts, which allow them to fly free. Their homing instinct keeps them close by once they know your house is their home. Pigeons are large birds so they need large cages. The most suitable are rectangular ones with bars too close for your birds to get their heads through. They'll spend some time on the ground, so cover part of the bottom with paper. Your birds will feel extra secure and happy in a partially enclosed cage, placed in a draft-free area out of direct sunlight. Cover the cage at night if it's in a place where lights are turned on and off. The advantage of keeping your birds in an aviary is that you can provide a flight area for them. A good-sized flight area is 9 feet long by 6 feet wide and 6 feet high. Pigeons like roosting high up at night, so place a roosting area as high as you can, and some regular perches lower down for daytime use. An aviary oriented south or southwest provides the right level of sunlight for your birds. A pigeon loft is an outdoor structure designed to house a large number of pigeons. Birds can enter and leave freely once they understand the loft is their home, and they should always return at night. A good size loft is 4 feet wide by 8 feet long and 7 feet high. Place it where it receives sunlight and shade. Inside, your pigeons need separate compartments for nesting and perching. In every kind of housing, your pigeons need containers for food and water. These should be in an area where bird droppings won't fall in them. Pigeons in outdoor housing are vulnerable to attack from predators, so make their homes secure. To help prevent squabbles, provide at least one perch per pigeon and two nesting boxes per pair. 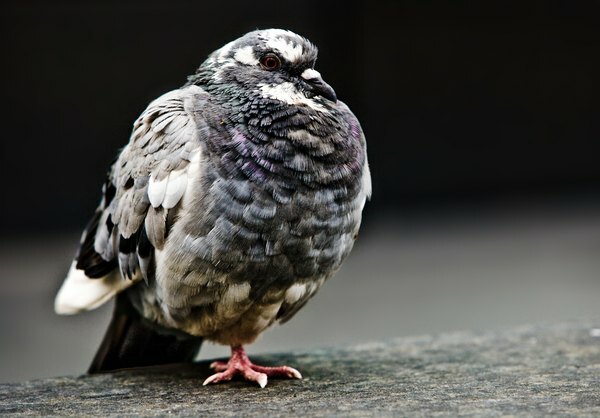 Pigeons love to bathe, so put a large, shallow bowl of water in their accommodation twice a week for a couple of hours. Does a Kitten's Color Change as It Grows? What Makes Shar Peis Wrinkly?